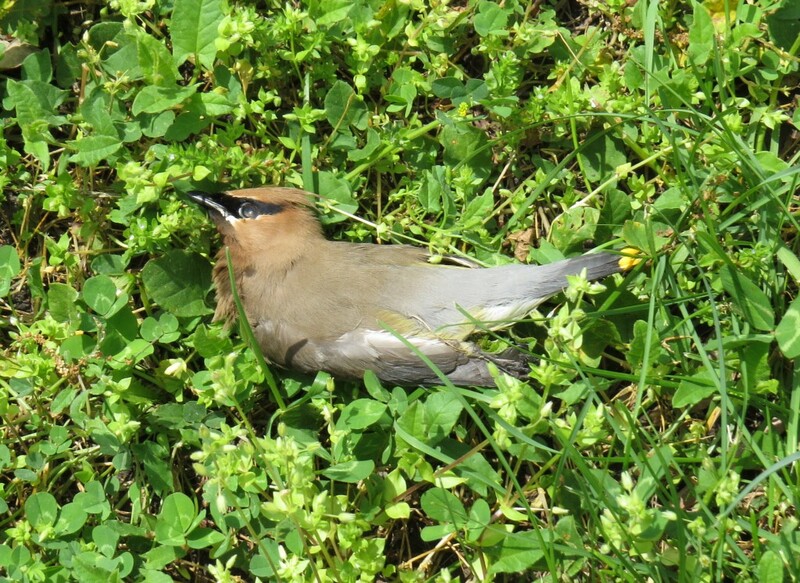 Home » Nongame Bird Blog » What’s killing Cedar Waxwings? I regularly receive calls from people that have observed dead birds. They are often seeking guidance or being good citizens by letting someone know. 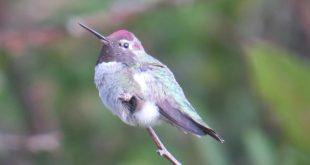 More often than not, though, individuals have observed the outcome of a normal or natural death as birds die all the time, everyday. 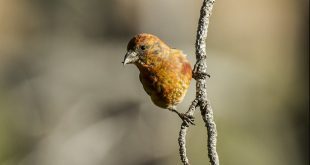 However, it can be valuable to be made aware of a bird mortality if the cause of death is not obvious in case there is another report and a pattern begins to emerge. This is exactly what has occurred over the past couple weeks. Cedar Waxwings are fairly common, albeit irregular, residents in Nebraska. 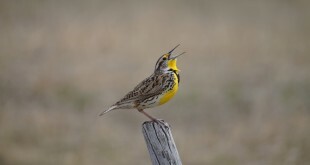 They often occur in flocks and eat fruit, berries and blossoms. Photo from the NEBRASKAland archive. During the last two weeks, and particularly in just the last few days, I have received or been made aware of several reports of dead Cedar Waxwings. Cedar Waxwings are a fairly common resident in Nebraska. They are beautiful birds that can easily go unnoticed by the less-than-careful observer. Cedar Waxwings are typically found in flocks and occur somewhat irregularly, meaning they may be common at times and scarce during other periods. This hit-n-miss pattern of occurrence is usually related to food. Cedar Waxwings eat fruit from trees and shrubs such as crabapples, eastern red cedars (hence their name), hawthorns and so on. A flock will often descend on a food source and birds will gorge themselves. Cedar Waxwings are one of a few fruit-eating bird species known to have been killed by alcohol poisoning from eating fermented fruit. A Cedar Waxwing mortality event was also linked to the fruit of an ornamental shrub, Nandina domestica, in Georgia. In addition to fruit and also insects, Cedar Waxwings eat the blossoms of flowering trees and shrubs in spring. As you know, trees and shrubs have been flowering here in Nebraska the last couple of weeks. The pattern of Cedar Waxwing deaths began to take shape rather quickly over the past few days. An Omaha resident posted a message on NEbirds on Saturday about dead Cedar Waxwings. I responded and some positive dialogue ensued. In addition, each day this week has yielded additional unsolicited reports of dead Cedar Waxwings. A bit of internet searching offered clues. In particular, one nicely-written newspaper article from South Dakota from 2007 provided insights. 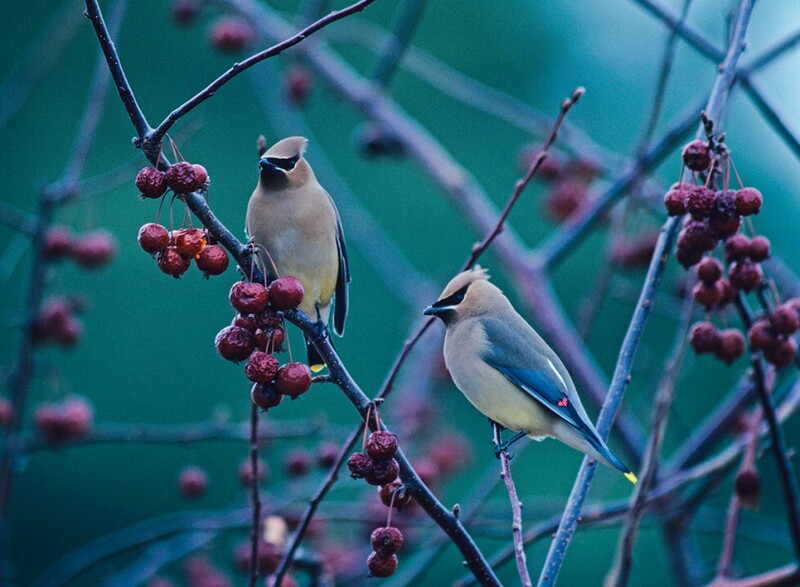 The article explains that Cedar Waxwings ingested flowers of ornamental shrubs, specifically cotoneasters. The flowers contain cyanogenic glycosides, which turns into cyanide and is, of course, deadly. One or two other reports have pointed to ingestion of cotoneaster berries as the source of cyanide. On Tuesday, I visited a residence in rural Lancaster County to recover a Cedar Waxwing carcass reported by the homeowner. There I found three long rows of cotoneasters near the end of their flowering period. The dead waxwing was not more than a meter from the shrubs. Greg Wright, with the Crane Trust, followed up on a mortality report at Grand Island and found cotoneasters growing in the spot where the dead Cedar Waxwings were found. Later, I spoke to the Omaha resident mentioned above and she passed along they have cotoneasters. Cedar Waxwings appear to have died from cyanide poisoning after eating blossoms from ornamental shrubs, particularly cotoneasters. Even though circumstantial evidence suggests recent deaths of Cedar Waxwings in eastern Nebraska are associated with cotoneaster flowers, caution should be exercised when drawing conclusions. I have sent carcasses to the National Wildlife Health Center for follow-up necropsies. This may or may not provide some definitive answers. Two mortality events of Cedar Waxwings were associated with crabapple trees. The article noted above mentions crabapples retained from the previous growing season may also contain cyanogenic glycosides. One other intriguing point, the literature indicates that toxicity increases in cyanogenic plants after frosts or freezes. Even though we are enjoying temperatures in the 80s now, it was only a couple weeks ago that we had mornings with frost and sub-freezing temperatures in much of the state. This late cold snap may have made the flowers particularly toxic this year. I have not received a similar flurry of reports of dead Cedar Waxwings in other years. There are still many questions to be answered. 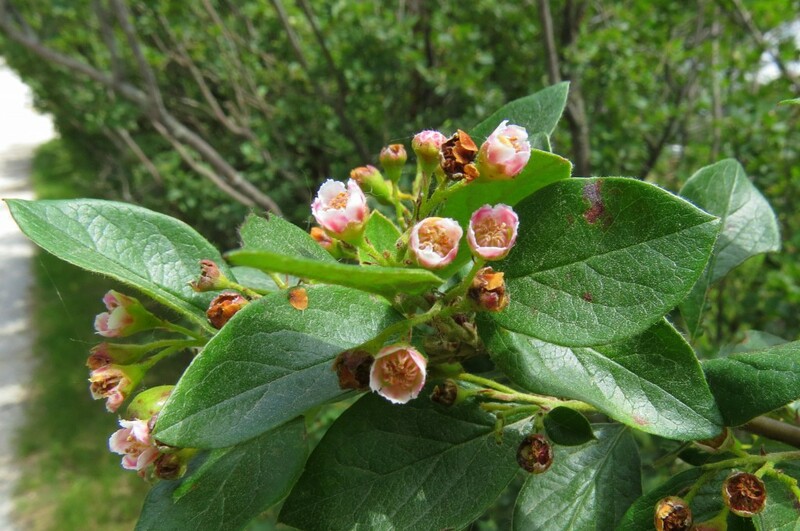 Cotoneaster shrub and flowers near where a dead Cedar Waxwing was recovered in Lancaster County. As the flowering period for cotoneasters (and possibly other cyanogenic ornamental shrubs) passes, perhaps the rash of deaths of Cedar Waxwings will end as well (let’s hope so). Even so, I do have a request. If you observe dead Cedar Waxwings, please let us know. You can contact me at 402-471-5440; joel.jorgensen@nebraska.gov. If you do observe dead Cedar Waxwings, also note where you found them and nearby possible food sources (such as cotoneaster flowers, crabapples, or something else). Finally, if you observe or come in contact with any dead animal, exercise caution. If you dispose of a carcass, use plastic bags and gloves and always thoroughly wash your hands afterwards. 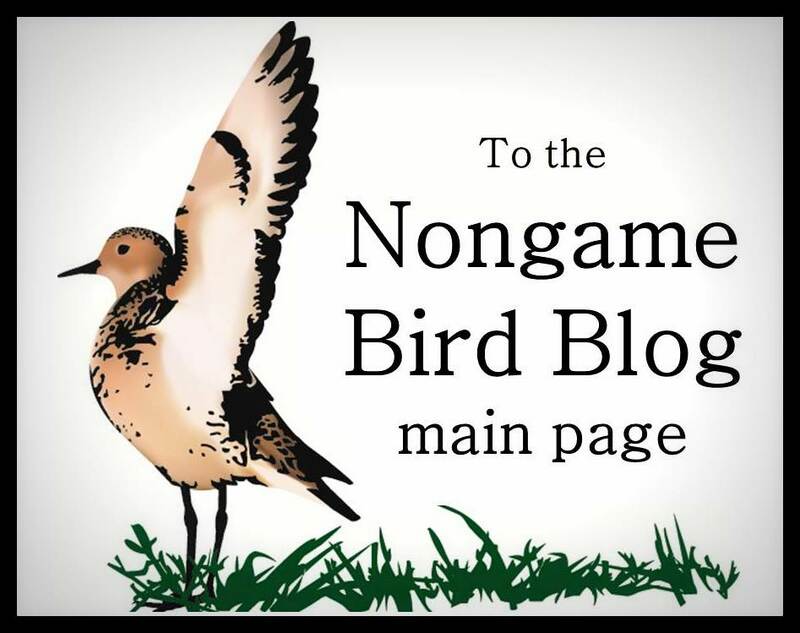 Special thanks to Greg Wright with the Crane Trust for his contributions in addressing this mystery and providing information for this blog post. Also, thanks for Jill Simodynes, T.J. Walker, Lauren Dinan, Lindsay Brown and Robert Wells for their assistance.